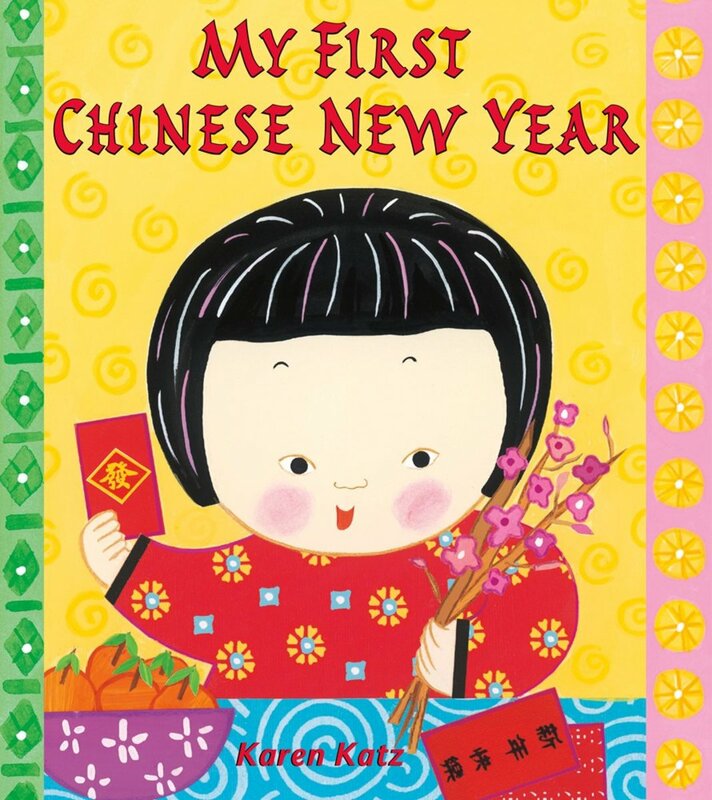 This site lists books for kids about China--lots of books to read about Chinese New Year here. 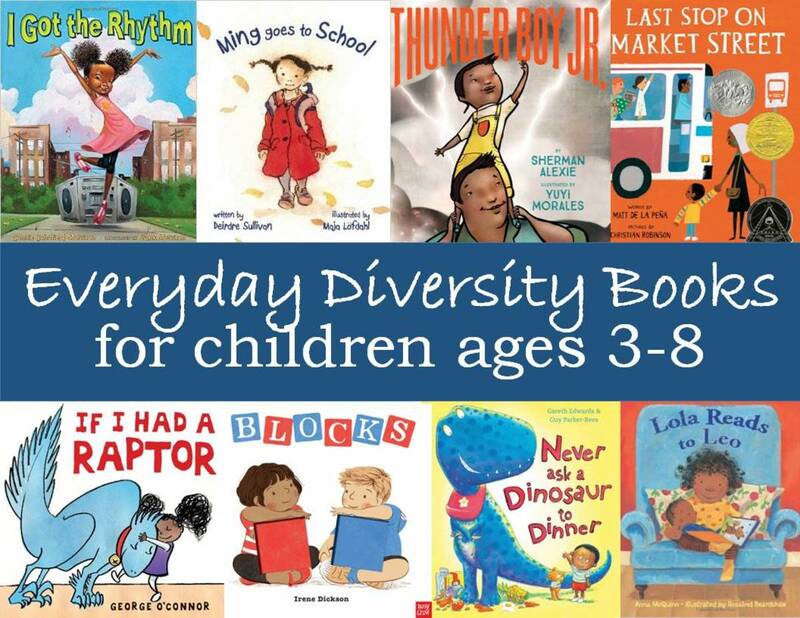 Here are the best books for ages 2-6 about China and children with Chinese heritage. They range form re-tellings of folk tales to colorful books of facts about traditional New Year's celebrations in China and all over the world. 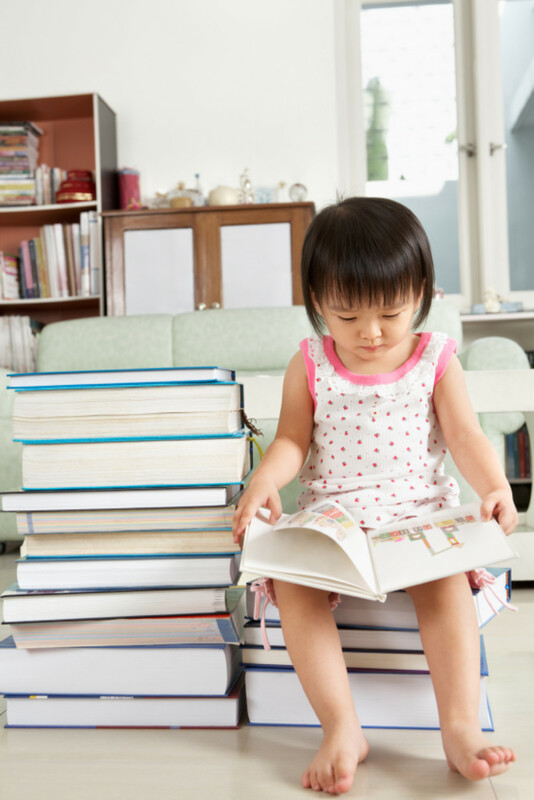 Whether you are a preschool or elementary teacher, a parent or adoptive parent, or someone who enjoys sharing the culture of China with children, these are the best books I've seen over the years for young children. I've been a librarian for over 20 years, and picture books have always been close to my heart. I've read hundred of books about China and listed here the one that I believe have the best characters, most interesting stories and most beautiful artwork. I hope that you enjoy them. 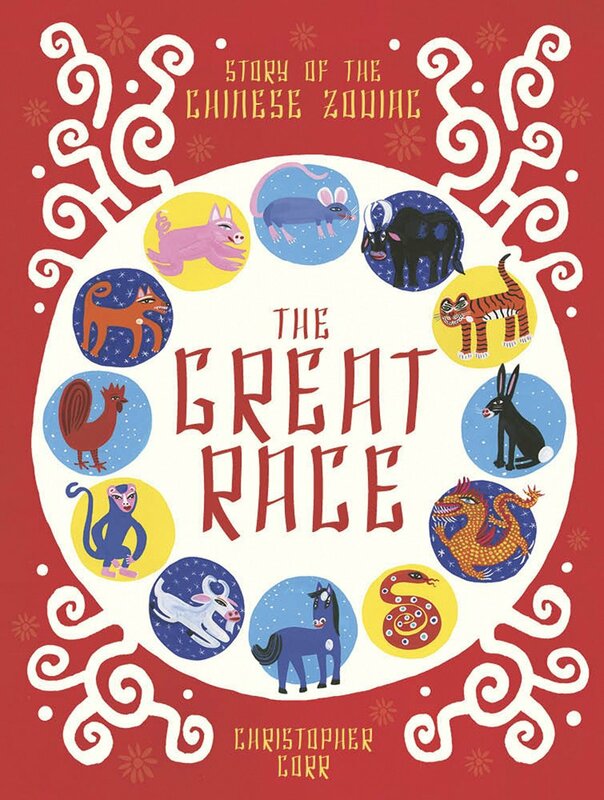 The Great Race is a new take on the folk tale which explains how each year of the Chinese zodiac came to be named for a different animal. The Jade Emperor realizes that the people in China needed a way to mark the different years, and so he conceives of a race between the animals to determine which animals should get years named after themselves, and which order they should be in. Corr does a nice job telling the story. The text is still brief, making it a good choice for a read-aloud, but he goes into a little more detail about the motivations of each animal. Where Corr really makes this story his own is the illustrations. They are a brightly-colored folk art style, and I appreciate the large format and 2-page spreads that make the pictures ideal for sharing with a group of children. You can see an example below. Corr is an internationally-recognized artist who studied at the Royal College of Art in London. 2-page spread from The Great Race by Christopher Corr. These large colorful pictures are ideal for sharing with a group. 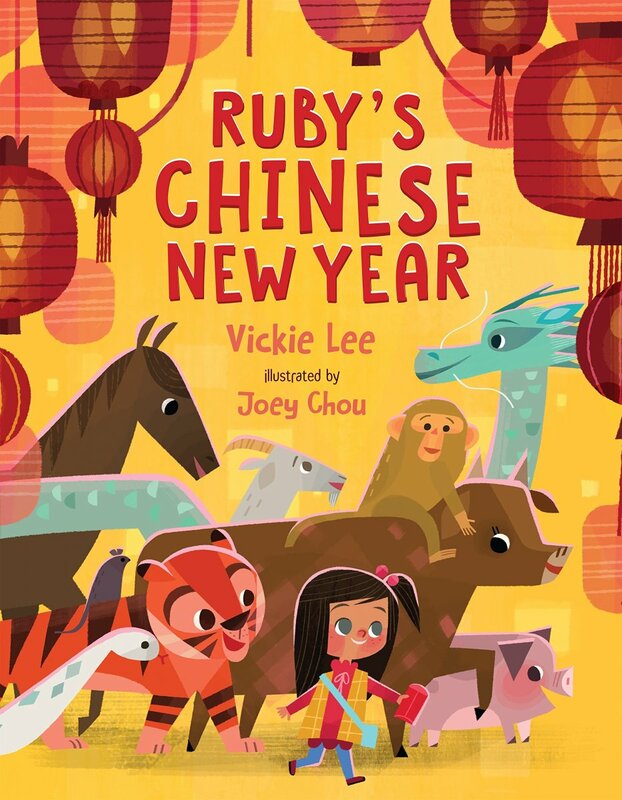 In Ruby's Chinese New Year author Vickie Lee cleverly weaves the story of the race for the Chinese zodiac into her tale of a girl going to visit her grandmother for Chinese New Year. As we start the story, we learn that Ruby's grandmother usually came to visit for the holiday, but this year she is unable to travel. Ruby decides that she doesn't want to miss seeing Grandmother and makes plans travel to her grandmother's house. As a gift, she draws a picture of her family seated around a New Year's feast and tucks the picture into a lucky red envelope. She sets off through the forest and meets a cat and a rat who agree to come along. But they realize they need to get across both the meadow and the pond. Rat suggests they ask Ox who is strong and dependable. Ox, indeed being the strong and dependable type, agrees to take them along with the New Year's treats she is carrying back to her farmer's home. As they travel, they meet up with the other zodiac animals: rabbit, tiger, snake, dragon, horse, goat, monkey, and rooster. By then, Ruby can see her grandmother's house across the pond and impetuously jumps in and swims to the other side. The animals accompany her, but in the process, her drawing for her grandmother gets wet. "Oh no," says Ruby. "It's ruined. Everything is ruined." The animals remind her that it is not all ruined. Along the way, they have brought fish, flowers, lanterns, streamers, rice cakes, and sweets. "And we have our family," Cat and Rat add. When Ruby makes it to her grandmother's door, the woman is of course delighted to see her. She assures Ruby that the drawing will dry. "And seeing you and your friends today is the best gift of all." The last 2-page spread shows a joyful New Year's feast with all kinds of traditional foods, and the animals sharing in the bounty--except for the cat who had fallen fast asleep. The real strength of this book is in the drawings which are colorful, modern, and bursting with life. I like the way the illustrator worked in things like ribbon dancing and lanterns into the scenes in which Ruby meets the animals. At the end of the book, we get a few nice extras. The author includes a brief telling of the legend of the Chinese zodiac. We have a zodiac chart which gives the animals, their years, and their characteristics. And, we also get some instruction on how to make a few craft items: paper lanterns, paper fans, and good luck banners. If you read this book to your children, make sure you read them the Author’s Note at the end. It’s a fascinating story. 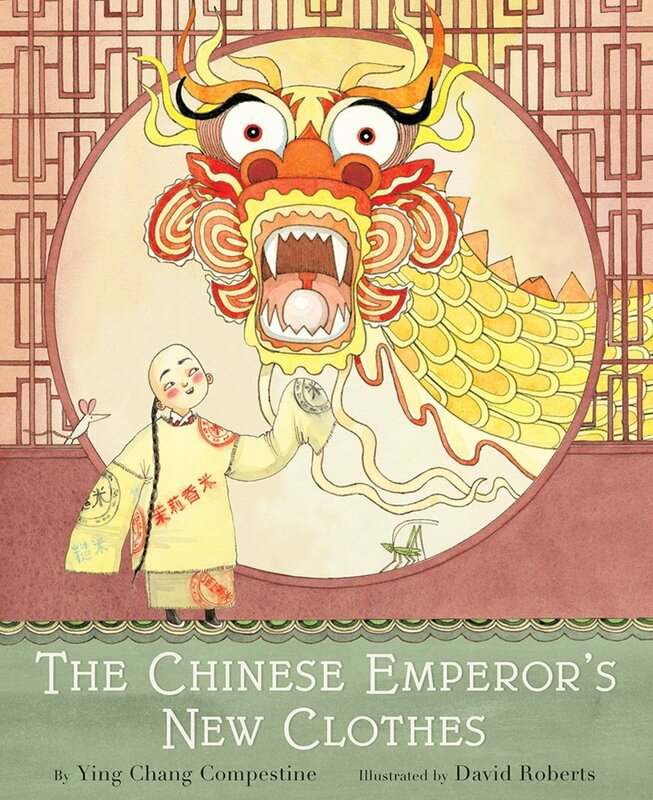 Compestine grew up during the Cultural Revolution in China when Western stories, including fairy tales, were banned. 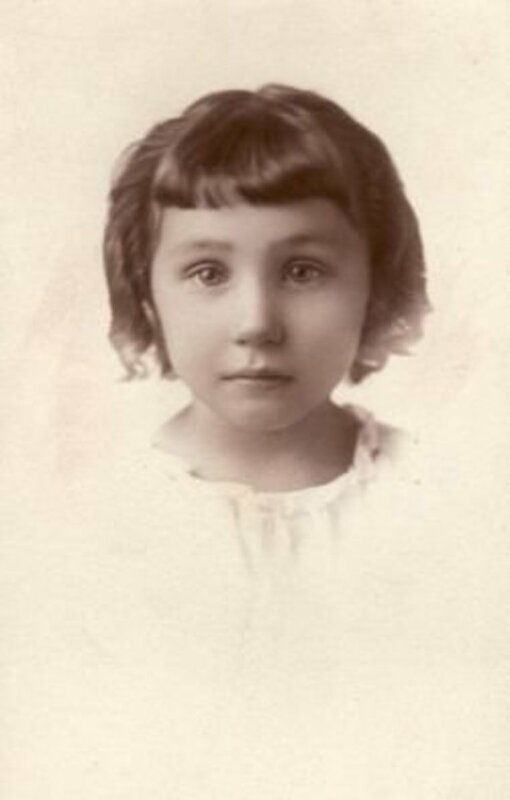 She and her brothers were hungry for literature though, and she describes how they would read forbidden books in a hurry late at night, even though they risked public humiliation and--in the worst case scenario--their family being sent to a labor camp. It’s hard to imagine a life like that. Read-aholics will recognize themselves in her determination to read new stories, and the reluctant readers just might start to understand what a treasure we have with all our books. Compestine remembered getting a copy of The Emperor’s New Clothes and poring over the story and the pictures. Life was not only terrifying during that time, it was boring. Compestine and her friends livened up their lives by reciting the stories they had read in banned books to each other. She told the story of the emperor and added her own spin to the story, a creation of hers that became the basis of this book. I don’t want to tell too much about her adaptation, but suffice it to say that the emperor is actually a kind boy who is being taken advantage of by his advisors. He manages to turn the tables on them and play a trick that exposes their greediness and dishonesty. This book is a keeper, and a great read for Chinese New year since in features a traditional New Year parade. I had first met Compestine as a cookbook author and was amazed (and a little jealous) when she hit it so big as a picture book author. But now I see how her storytelling skills started, weaving tales to keep her friends entertained. 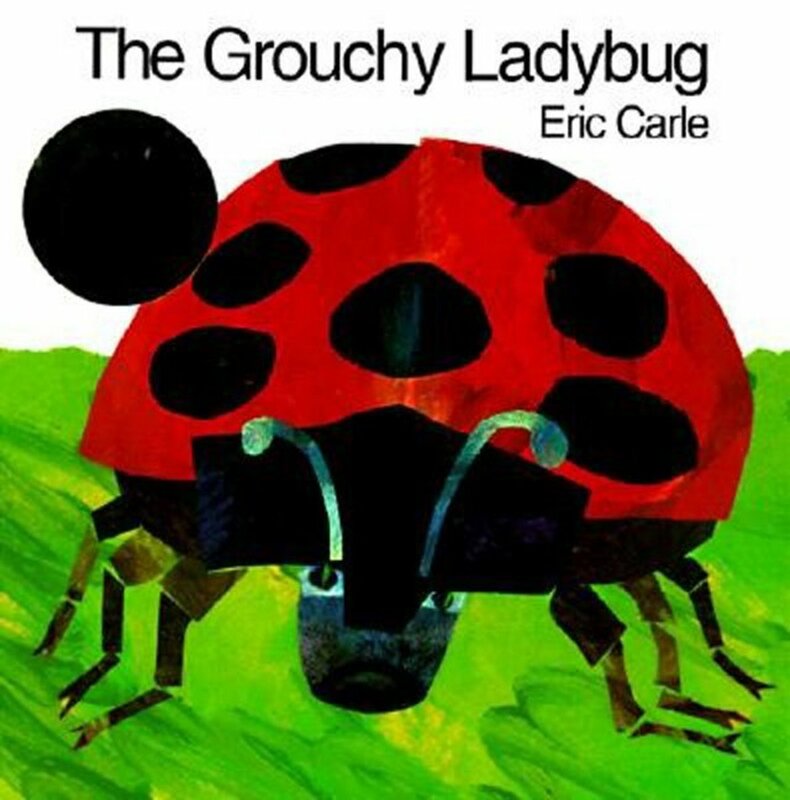 It’s a charming story, made all the more so by a talented and well-known illustrator. 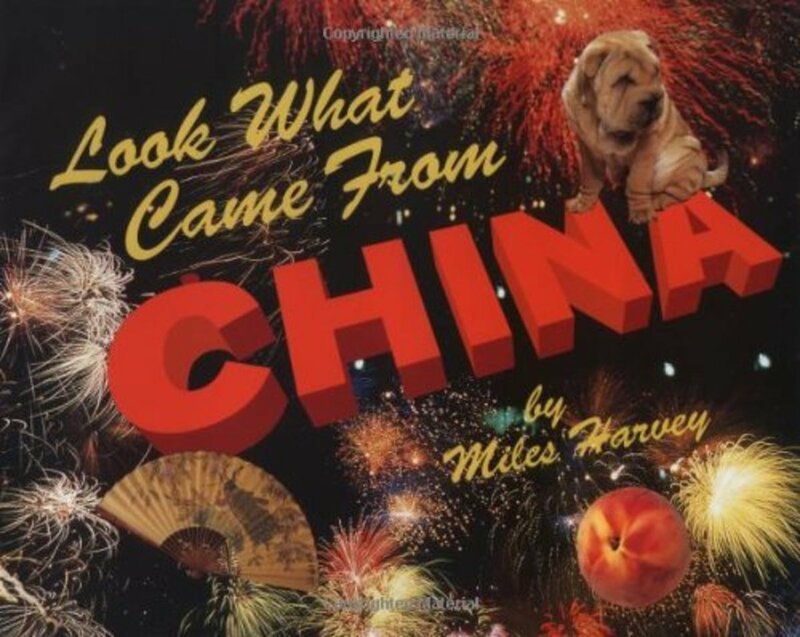 I couldn't help thinking about the movie Planes, Trains, and Automobiles while I read Home for Chinese New Year, mostly because it is a story of a father using a multitude of conveyances to get home to his family for the new year holiday. In the beginning picture, we see a man looking at his cell phone, standing in line to get a train ticket while the snow falls all around. He has had a call from his son, Jiajun. "Daddy!" says the boy, "It's almost Chinese New Year! When will you be home? I miss you very much." Soon, we see the father standing in an ocean of people who are waiting to get on trains to take them back to their home place. The picture certainly gets across the sheer number of people who travel in China for the holiday. I've read that it's the largest human migration on earth, and that some 385 million people travel back to their hometowns during this period. I'm reminded of the documentary Last Train Home which chronicles the story of a married couple going home for the new year. As factory workers, their living quarters are just as big as a pair of bunk beds and a small table with a curtain pulled across. The new year holiday is the only time they get to see their children all year long, which explains why almost everyone in the city is travelling at the time. When the two of them finally finish their work on the last day before they get time off, they go to the train station to buy tickets. I was shocked as the documentary showed them waiting not one, not two, but three days until they finally were able to buy tickets. Granted it's a two-week holiday, but it made me tired just to watch them waiting for so long. Fortunately, Jiajun's father doesn't seem to wait as long because on the next few pages, we see him hurrying into the train station, and then onto the train. Then, he takes a bus, then a three-wheeled motorcycle, then a ferry boat, and then finally he walks the last leg of his journey. At each stage, Jiajun calls him with updates and questions. He is an eager little boy, and it's gratifying to see him finally greet his father, get his new year present and go to set off firecrackers with his father. Later, the whole family has a dinner together. In the next few days Jiajun and his father hang red paper banners, make snowmen, clean the house, and work on their lantern for the lantern festival. They enjoy every day they have together, but too soon it is time for Jiajun and his father to say goodbye. The boy hands him a bag, complete with his green scarf that he wants to lend him for the year. Then we see the father heading back to take his long journey back to the city. For American readers, Home for Chinese New Year dramatizes how important the family reunion is, and shows a bit of how the New Year is celebrated in China. 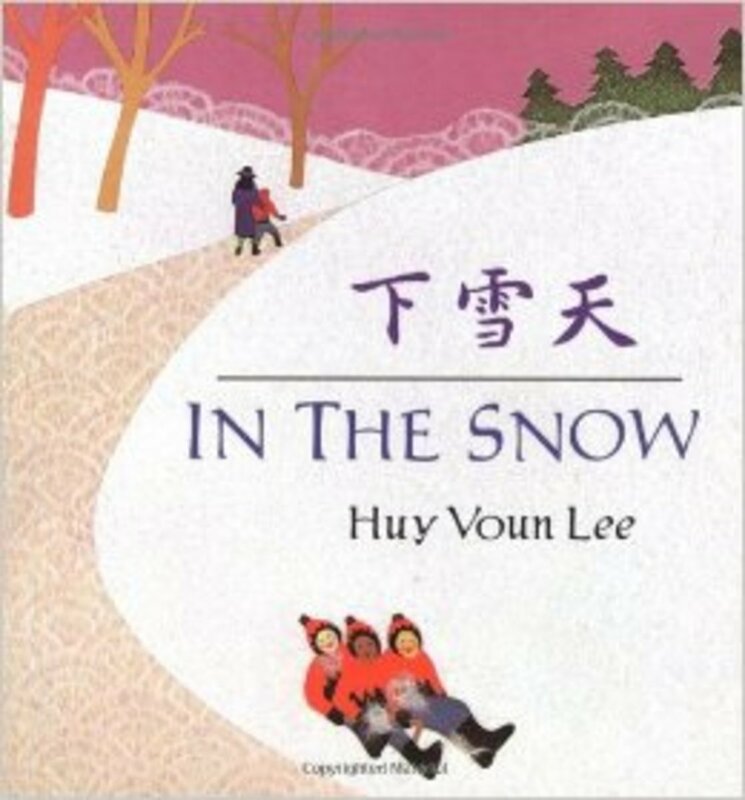 The words are in both Chinese and English.The pictures are charming, using a light color palette and ever-present snow (it must be set in northern China) to capture a wintry mood. When I've been looking up information about Chinese New Year, I've often come across brief references to a legend of a monster call nian, which means year in Chinese. According to the legend, this monster comes by at the beginning of the year, and the reason that Chinese people use firecrackers and other noisemakers is to scare off this monster. 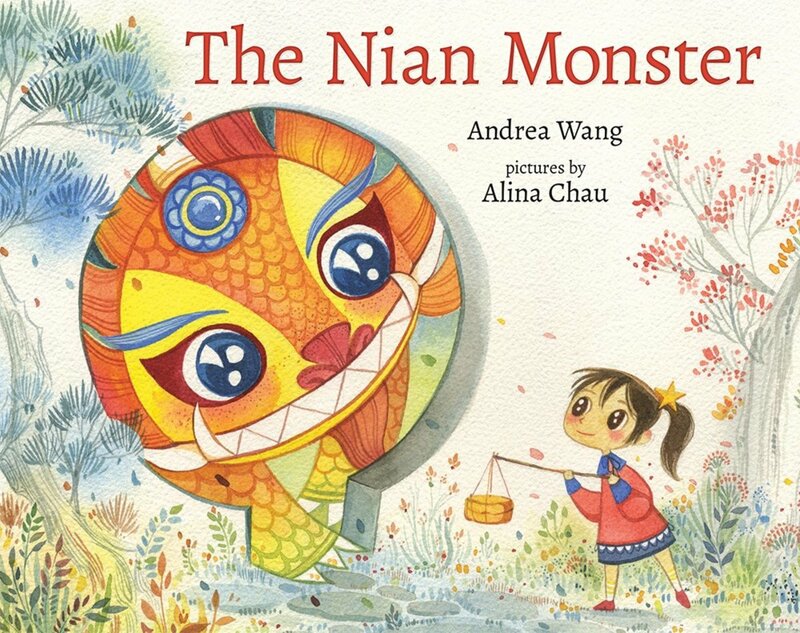 In this book, The Nian Monster, Andrea Wang fleshes out the tale and adds a clever girl who tricks the monster and saves her city. The story begins in contemporary Shanghai where a girl named Xingling and her grandmother are hanging decorations for the new year celebration. Xingling asks why all the decorations are red, and grandmother tells a story. "Long ago," she says "the Nian Monster lived in the mountains. His jaws were as wide as caverns. His teeth were sharper than swords. And he was filled with a terrible hunger. Each new year, Nian ate whole villages!" It turns out that this monster had three weaknesses: loud sounds, fire, and the color red. On the accompanying page, we see red firecrackers, children banging a gong, and blowing a noisemaker. Grandmother explains that the traditions have kept the Nian Monster away ever since. While her grandmother goes to buy more noodles, Xingling stirs the pork and cabbage soup. But, outside her window, we see that Nian has returned. "I have come to devour this city," he says, roaring so loud that all the buildings in Shanghai shake. Xingling strikes a defiant stance and points out the red banners, lanterns, and drums that should scare him away, but Nian has is no longer afraid of them after thousands of years. Xingling thinks fast and convinces him to have a bowl of noodle soup before he devours everyone. He agrees, and she goes to the best noodle shop to get him a giant bowl. When he is finished, he is too full to eat any more and decides to devour the city the next day. The next day, Xingling convinces him to eat a fish, and she gets one specially caught from the Huangpu River. Again, Nian is too full to eat everyone up. On the third day, Xingling tricks him into eating a rice cake made from glutinous rice flour, the stickiest kind, which glues Nian's jaws together. Then she takes him to the fireworks show and seats him on a chair with a rocket. When the fireworks master lights the rocket, Nian is unable to blow it out and shoots through the sky. "Good-bye Old Year," Xingling waves. Alina Chau's watercolor illustrations are wonderful, bursting with color and action. I love how the details show us life in contemporary Shanghai: the market, the park, the harbor, and--of course--the food. This would also be a great book to share with a class. You can first read the story, then talk about the details in the pictures. Wang includes an author's note that explains more about the holidays, the food, and other "Chinese tidbits" like why the number eight is lucky and the fact that sticky rice flour was used in the mortar for the Great Wall. 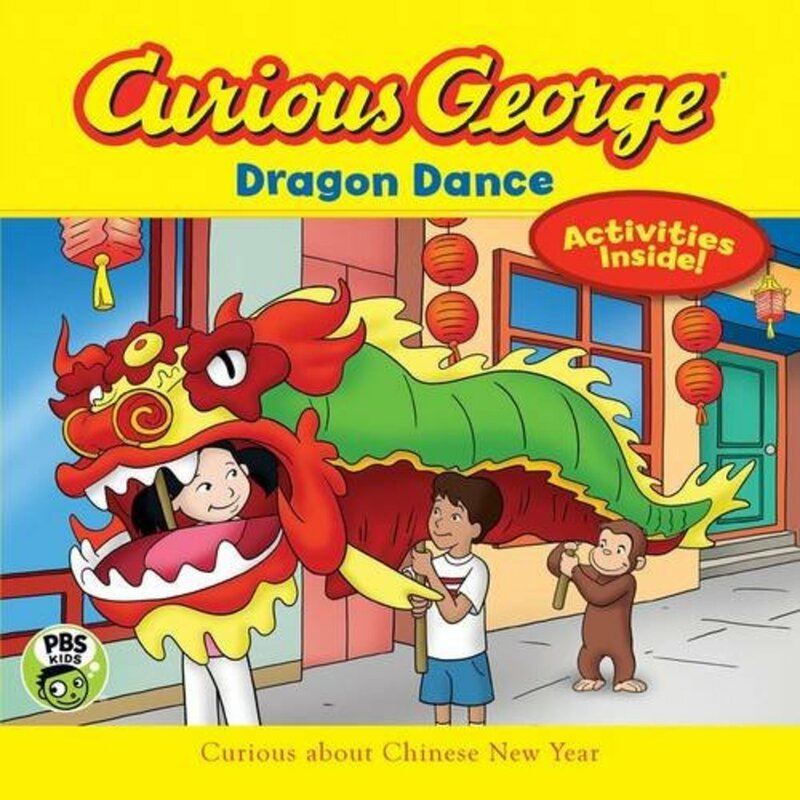 Curious George Dragon Dance introduces children to Chinese New Year festivities through the eyes of the familiar book and TV character, Curious George. The story is pretty simple: Curious George and his friend, Marco, are taking a walk on a nice day when they come across “a big party in the middle of the street.” They meet a girl named Lily who tells them some of the traditions of the holiday and asks them if they want to see the dragon that Lily will lead in the parade. She asks them to help her practice (the cousins who were supposed to do the dragon dance with her are late), and they take the dragon out into the street. As they are running around, they crash, losing the dragon’s nose in the process. Unfortunately, a dog has found the lost nose, and chewed on it until it is ruined. George, being the enterprising monkey that he is, comes up with some pipe cleaners and napkins to save the day. Lily asks them to march in the actual parade with her when it turns out her cousins are stuck in traffic and can’t make it on time. 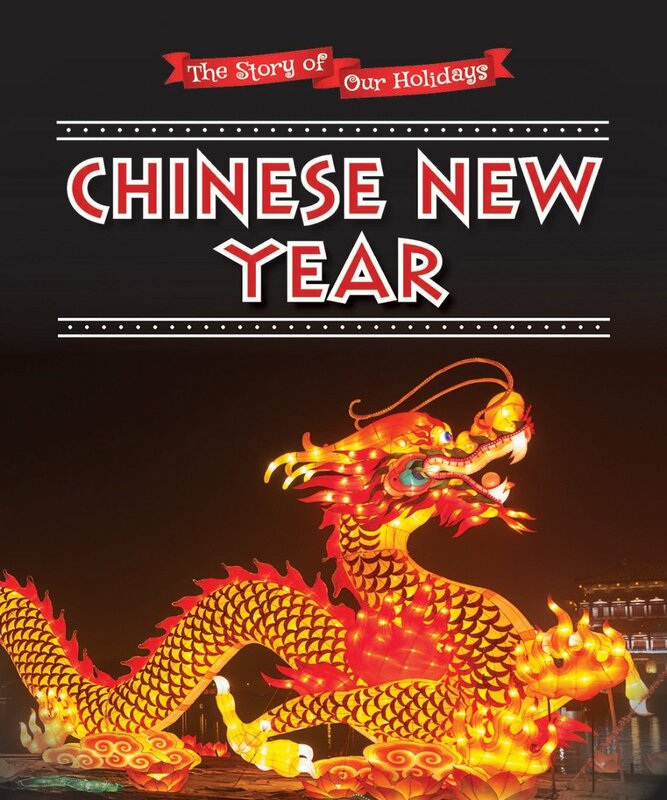 A page at the end of the book includes a little information about the holiday and briefly describes the traditions of house cleaning, lucky decorations, red envelopes, fireworks and lanterns. The illustrations show a few things like the buildings in a Chinatown, lantern decoration, a Chinese yo-yo, ribbon dancers, and of course the dragon puppet that is used in the parade. It’s a nice, quick little story that could be used to introduce the holiday with groups of children. 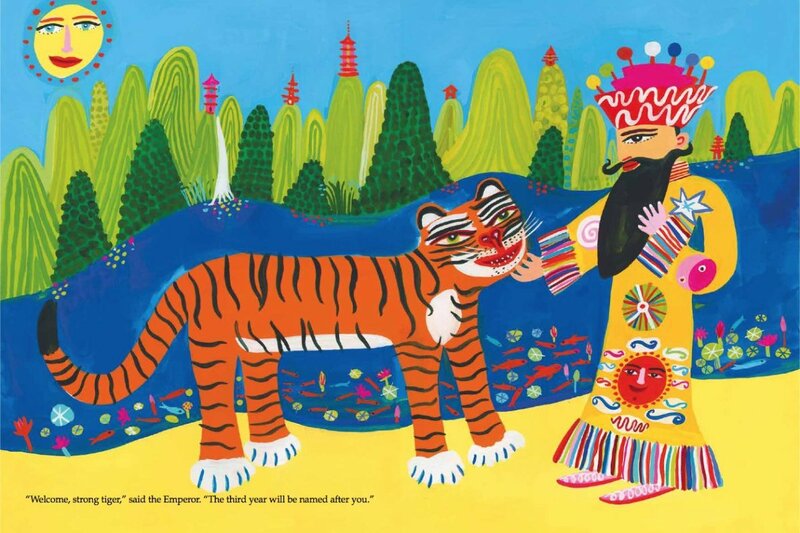 Chinese New Year by Joanna Ponto and Fay Robinson provides a good introduction to the background and customs of the celebration of the Chinese New Year. Most pages have 1 or 2 paragraphs and a large, full-color picture. The text is a little long for preschool and primary grades, but I'd say you would be able to read most of it out loud to a class starting in about second grade. They also have a picture from British Columbia of performers that are wearing brightly-colored horse costumes. In addition, there are pictures of a woman harvesting a rice crop in China, lanterns strung up in San Francisco, firecrackers, a zodiac chart, decorations, a family eating a New Year's dinner together, fireworks, children dressed in red outfits holding their lucky red envelopes, a lighted dragon in a parade (another image that makes me want to go see the parades), and lanterns launched into the sky. The text explains how New Year customs have their roots in a farming society as a way to "celebrate the end of one planting season and the beginning of another." It also covers things like the role of firecrackers, how the date is tied to the moon, and describes many customs, like cleaning the house, using the color red, eating round things like tangerines, and having parades. The Chinese used seems to be Cantonese, as the authors relate that "gung hay fat choy" is the way to say "wishing you good fortune and health." The end matter includes a recipe for fried rice and a pattern for making red envelopes. The book also include a short glossary and a brief list of books and web sites. 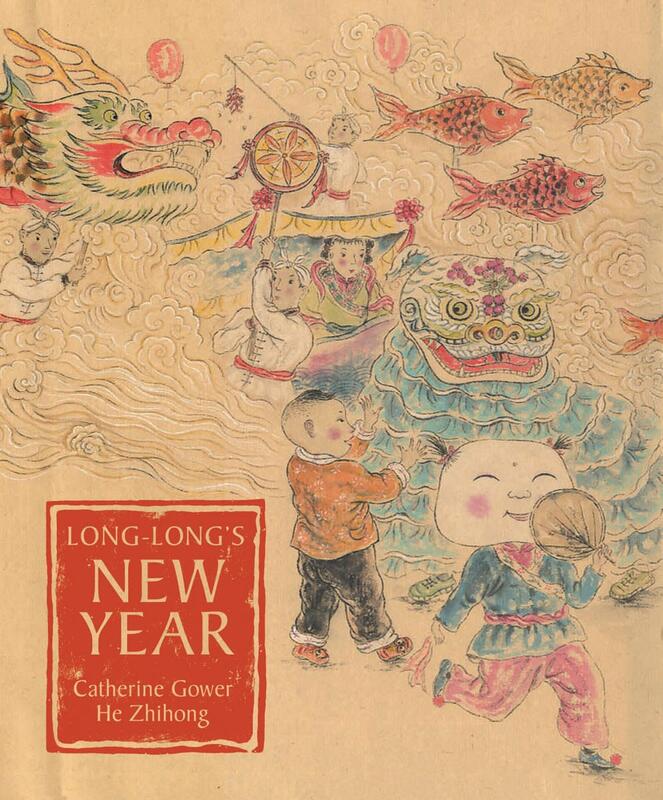 Right away, the cover of Long-Long's New Year reminded me of ancient Chinese silk paintings, and sure enough, when I read the flap info about the artist, I found out that she studied traditional Chinese painting at Beijing Academy of Fine Arts. I like this book because it gives readers a vivid sense of how people celebrated Spring Festival (aka New Year) in "the olden days." At the beginning of the story, little Long-Long is riding to town for the first time in a cart of cabbages that his grandfather is pedaling. Unfortunately, one of the tires on the cart goes flat and Long-Long runs off to find a bicycle repair shop. Once he gets the tire fixed, he earns a little extra money by helping to pump up other tires in the shop. Meanwhile, Grandfather isn't doing too well selling cabbages (mostly due to a grouchy woman nearby who is selling inferior cabbage). Grandfather is worried that they won't have enough money to buy the things they need for their holiday celebration. Long-Long explores the market, looking for a way to help sales when he strikes up a friendship with a cook who is interested in buying some of the cabbage. With the money from the sale, Long-Long and his grandfather are able to by everything they need for the celebration: spices, rice, firecrackers, and a huge salted fish. When they arrive home, they proudly carry their purchases to their home. We can see the village all decked out for the Spring Festival. At the end of the book, the author includes a brief telling of the first Spring Festival and the tale of the Nian monster. She also explains Chinese words in the story and gives the simplified characters along with the pinyin pronunciation. It's Chinese New Year! would be a great book to share with a classroom of students because it has such big pictures and such simple text. The publisher lists the age range as 8-12, but the reading level is really for first or second grade. So, if you have a child in those grades, and you want them to be able to read the book themselves, this is the perfect level. Here’s the thing about sharing this book with a class: I think it would be really effective for preschool all the way up to fourth grade. The text is very basic and brief, which makes it great for sharing with a class. For instance, the page on New Year’s feasts says “Families have big feasts. People eat a lot of food. Many people eat oranges too.” That’s probably enough for preschoolers or kindergarteners. For older children, you will probably want to be able to tell them what kinds of dishes people eat at these feasts, and the symbolism behind certain foods, eg. oranges or tangerines symbolize the eternal because of their round shape. All in all, if you get a paperback copy of this book, it’s an inexpensive way to introduce children to some of the customs of Chinese New Year. 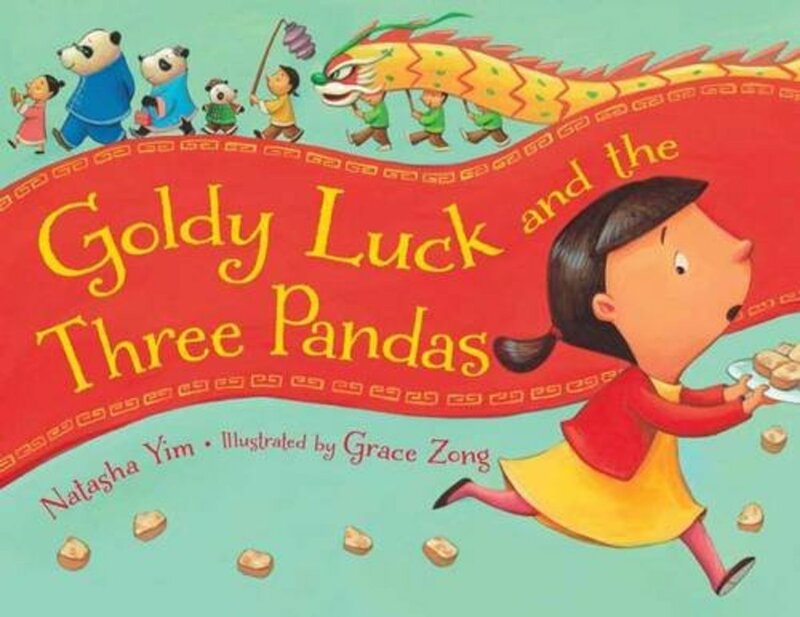 In this delightful picture story book Goldy Luck and the Three Pandas, the author Natasha Yim takes the familiar “Goldilocks and the Three Bears” story and adds a Chinese twist--New Year style. A little girl who goes by the name of Goldy Luck is asked by her mother to take a New Year’s dish—fried turnip cakes—to their neighbor panda’s house. When she arrives, the bears are out of course, and she decides to try out the things in their house--their congee (rice porridge), their chairs, and also their beds. One of the differences in this story is that Goldy starts to feel a little remorse once she returns home, and she goes to the pandas’ house to help clean up the mess she made. All ends happily as they work on making a new plate of turnip cakes. 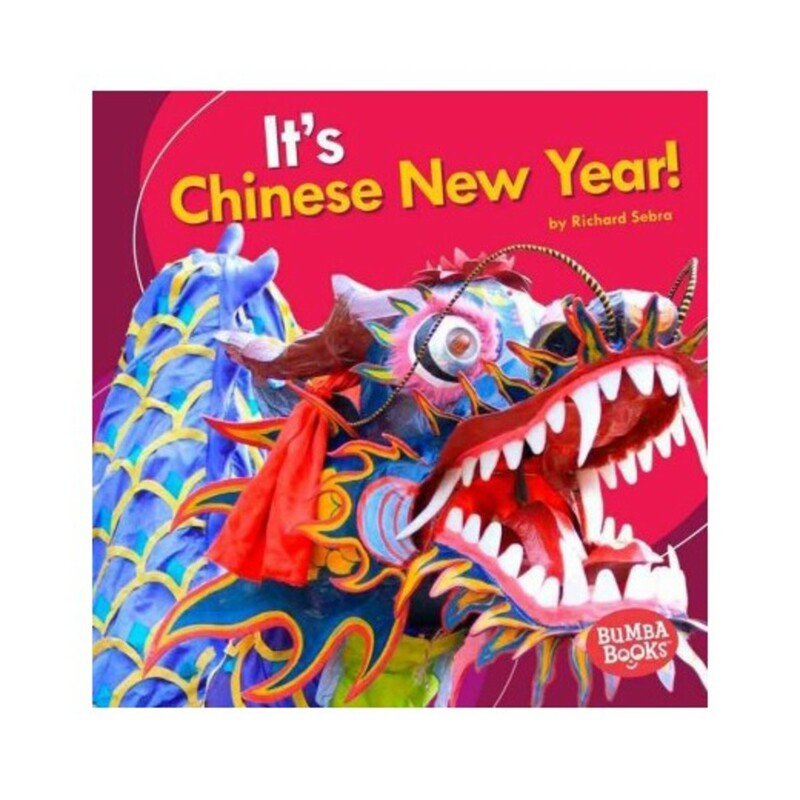 This would be a lovely book to read to a preschool or elementary school class and introduce the children to Chinese New Year celebrations. Yim weaves in all kinds details about customs regarding luck, gifts of red envelopes, and traditional foods. The illustrator’s adorable pictures include wonderful little details that embellish the furnishings and the clothing. My favorite is a Chinese zodiac rug we see on the floor in one of the scenes. In the back of the book, Yim includes quite a few interesting notes about New Year’s traditions. 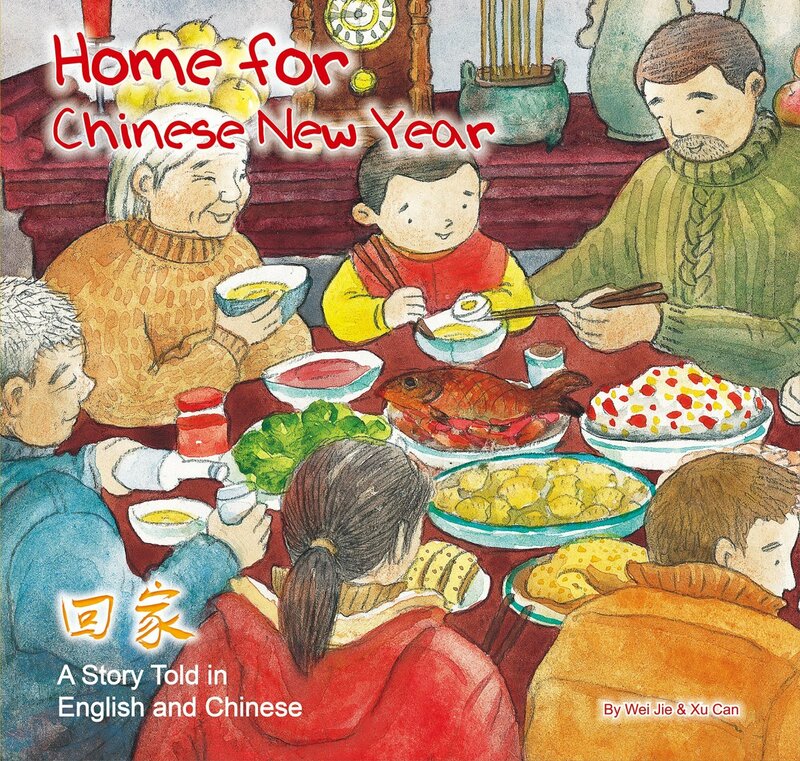 My First Chinese New Year is a good short book to introduce the very youngest children to the customs and food associated with Chinese new year. The illustrations are bright and colorful. 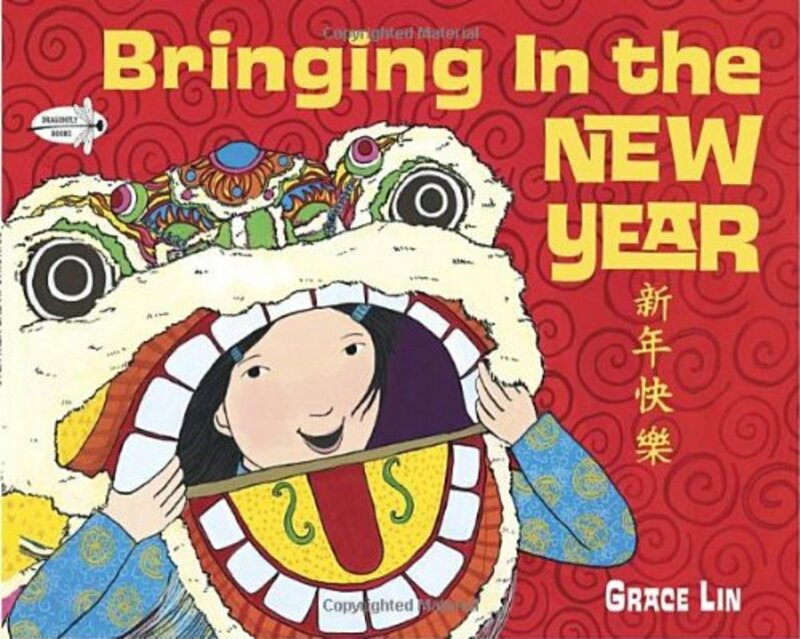 Lin's book Bringing in the New Year is a wonderful introduction to the traditions of Chinese New Year and would work well to read to school groups. 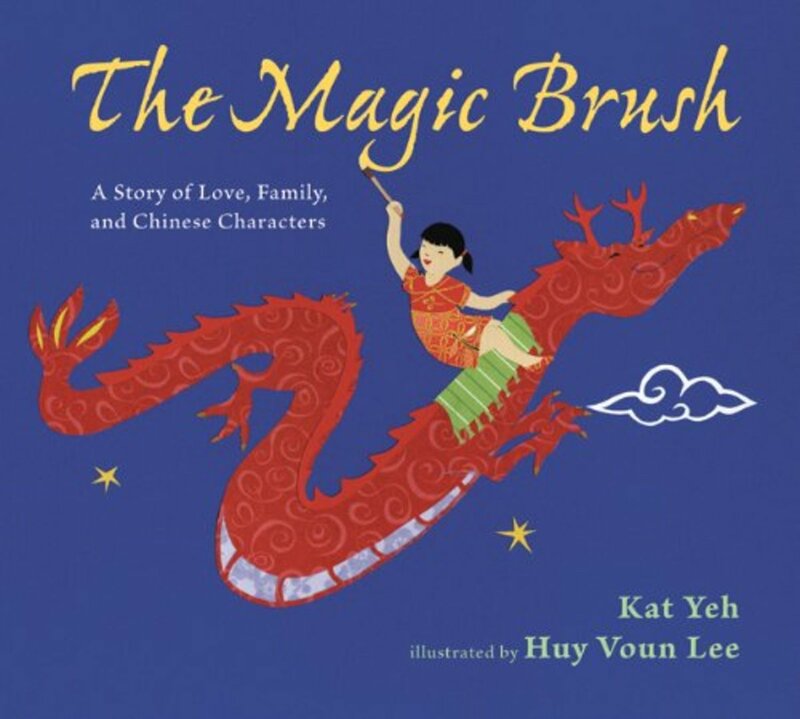 The story follows a family as they prepare for the new year, cleaning house and sweeping out the old year, making dumplings, and finally going to the New Year's parade. Lin's illustrations are bright and vibrant. 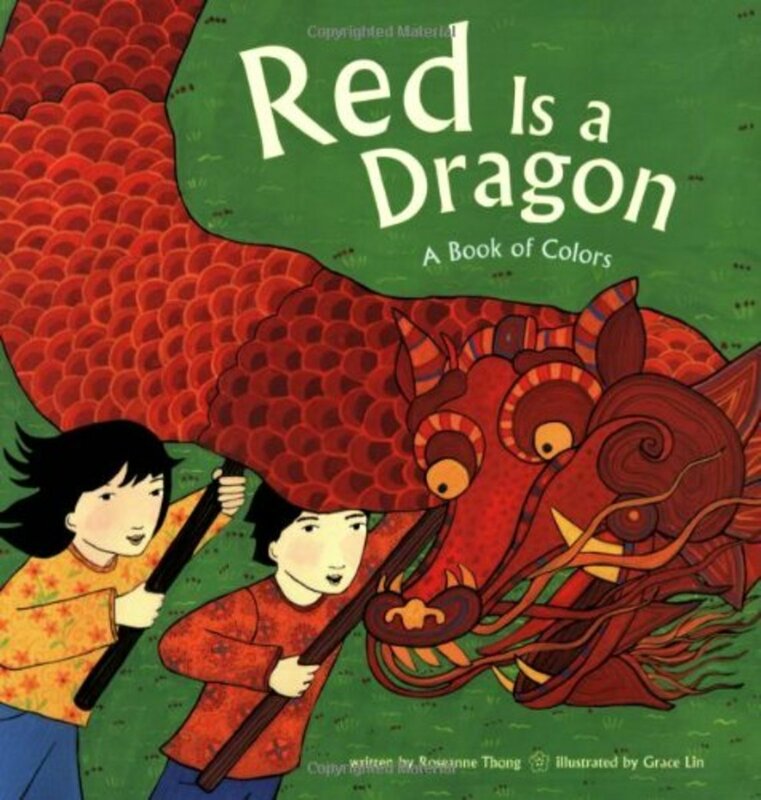 Red is a Dragon introduces children to colors by using objects common to Asian American families. In simple couplets Thong introduces us to red dragons and firecrackers, yellow incense sticks, green jade, but also red watermelon, yellow taxis, and green toads. Grace Lin's illustrations light up the book with bright colors and curlicue backgrounds. The two teamed up on to other books which are wonderful ways to introduce children to Asian cultures: Round Is a Mooncake, and One Is a Drummer. 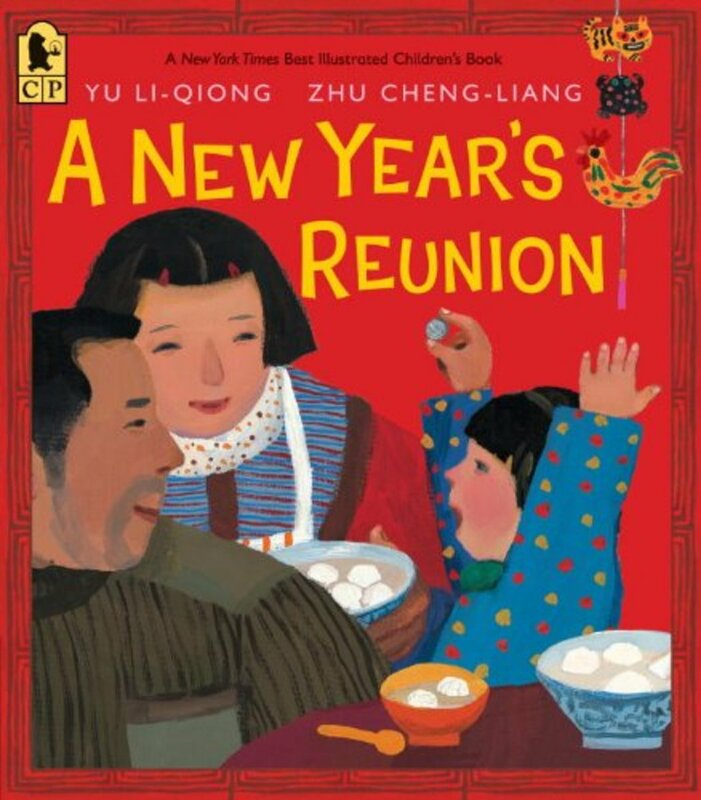 If you want your children to get a sense of what contemporary life is like in rural China, the beautifully-illustrated New Year's Reunion is a great place to start. Both the author and the illustrator now live in Nanjing China, and they've put together a story which shows the reality of life for many in China, in which one or both parents have to live a long distance from their children in order to find work. The young daughter, Maomao, narrates the story and begins by saying, "Papa builds big houses in faraway places. He comes home only once each year, during Chinese New Year." She and her mother have awakened early to get ready to welcome him home. Being very young, she is at first a little frightened of him because she hasn't seen him for so long. But, he has brought presents for both of them, a new hat for his daughter and a new padded coat for his wife. Maomao warms up to him, and accompanies him as he gets a haircut, puts lucky red couplets on the door, and makes sticky rice balls for the next day's feast. He puts a coin in one of the balls and tells her, "Whoever finds the ball with the coin will have good luck." They go to sleep to the sound of firecrackers, and the next morning when they are eating the rice balls in soup, Moamao bites on something hard in her food and finds the lucky coin. Papa exclaims, "Quick, put it away in your pocket so the good luck won't escape!" She notes that he is even more excited than she is. Next, they go New Year visiting, and she shows her lucky coin to a little friend. On the second day of New Year, her papa fixes up thing around the house, and the two of them see the dragon dance parade from their roof. On the third day, its snows, and Maomao loses the coin while playing outside. She is distraught, but fortunately that night she discovered it again when it fell out of her jacket. The next day, he has to leave again and as they share an embrace, he whispers that next time he will bring her a doll. She shakes her head and says, "No, Papa. I want to give you something. She pulls out the coin and gives it to him. The book ends poignantly, with the things unsaid speaking volumes. "Daddy is very quiet. He nods and hugs me tight." It's a story of families doing the best they can, despite being pulled apart for so long. The gouache illustrations are positively luminous. I'm still not sure how Zhu got the colors so deep. They have a bit of a folk art feel, and do a nice job of tucking in everyday details from the home and the town. The two-page spread of the dragon dance is worth the price of the book in itself. The book is a lovely keepsake chronicling this time in the lives of the over 100 million migrant workers in China. 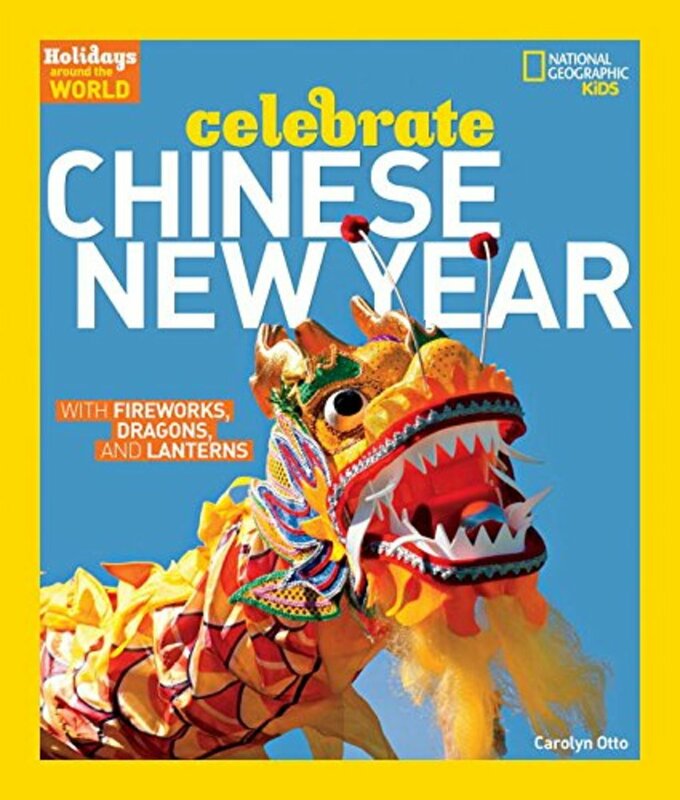 Holidays Around the World: Celebrate Chinese New Year: With Fireworks, Dragons, and Lanterns would be perfect to use with an elementary school class. Since it’s published by National Geographic, it of course has wonderful big and colorful photos. If you are working with first graders or younger, you can read the simple sentences that are on each two-page spread. “We travel to be with our families. We decorate with bright colors. There is plenty to eat.” And etc. You can point out what’s happening in each of the pictures: the lotuses placed in a pond, children dressed as mice and eating mouse-shaped treats, the dragon winding through the streets during the parade, and my personal favorite—the parade of lights with thousands of fantastic lanterns lining the streets. Every photo is gorgeous and brings the holiday alive. If you are working with second grade and up, you can read more of the explanatory text, about 3 or four paragraphs per page. The text is written in simple sentences at an AR reading level of 3.6 which roughly corresponds to the middle of 3rd grade. Here, you find a little more detail o share with older children. For example, you can tell them that the parade dragons used to be made of paper or bamboo, but these days they might be made of plastic. Ten or more dancers practice together, usually for several months, to learn the dragon dance and make it slither over the crowd. The photos are contemporary, and give a good feel for how the holiday is celebrated, not only in China, but in other parts of the world, such as San Francisco, Japan, and London. 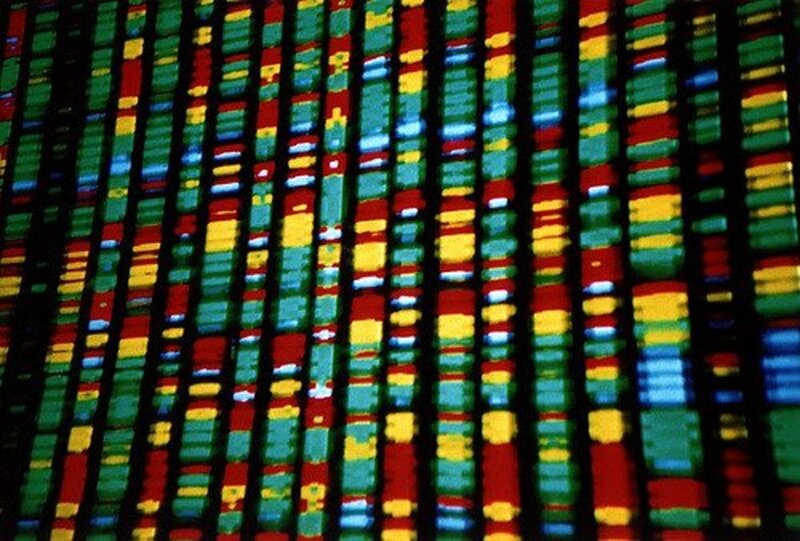 In The Pandas and Their Chopsticks, the pandas have a tricky problem. They each have a pair of chopsticks, but they can’t get the food into their mouths since each of the sticks is three feet long. How are they going to eat? Children will love the solution that one group of generous pandas discovers. Each of these fables is one-to-two pages long, perfect to read if you only have a little bit of time. 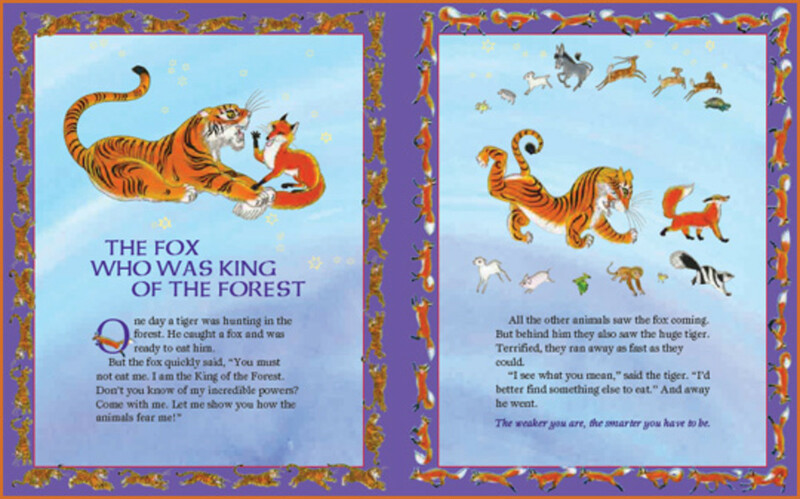 Children love to see some of their favorite animals represented in these tales with a message: kitties, hummingbirds, turtles, and hedgehogs among them. 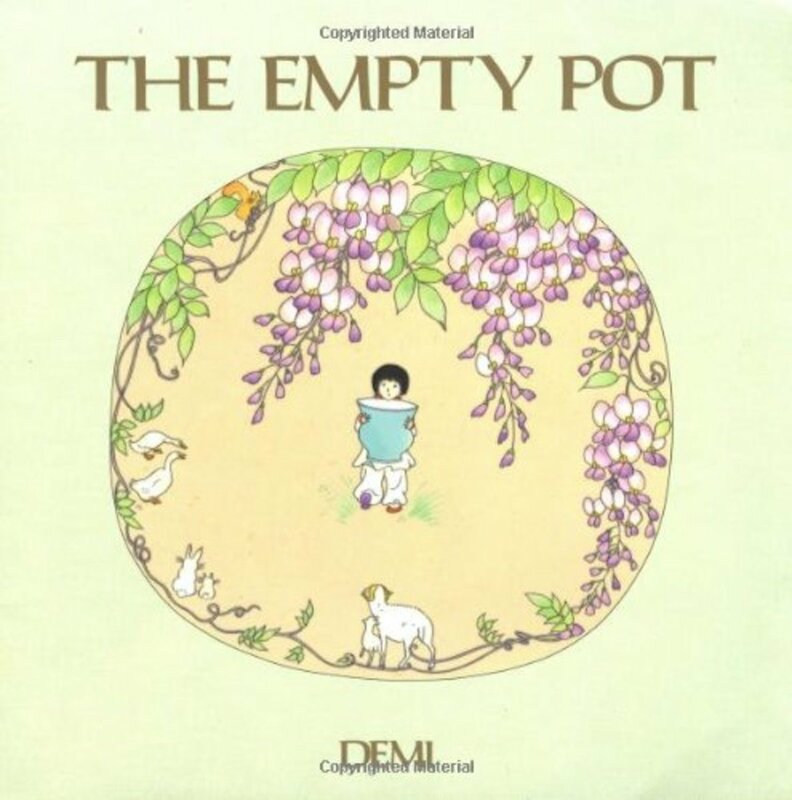 I have loved Demi’s colorful and detailed drawings ever since I read her book The Empty Pot, about a boy who becomes emperor by being honest when the other children are not. 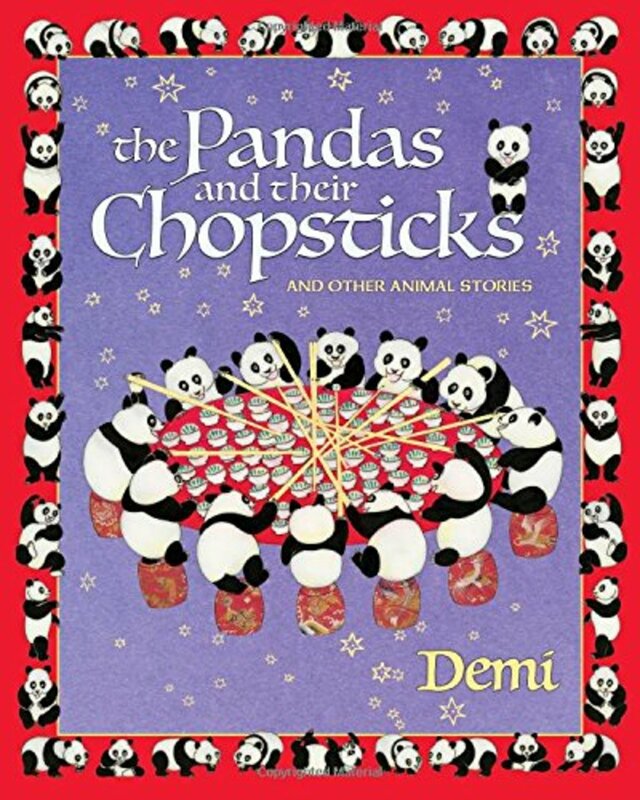 In The Pandas and Their Chopsticks she brings together a nice collection of Chinese fables that bring to life such virtues as sharing, humility, intelligence, and perseverance. Her illustrations are seem almost like Chinese embroidery, and her delightful little borders add a whimsical touch. 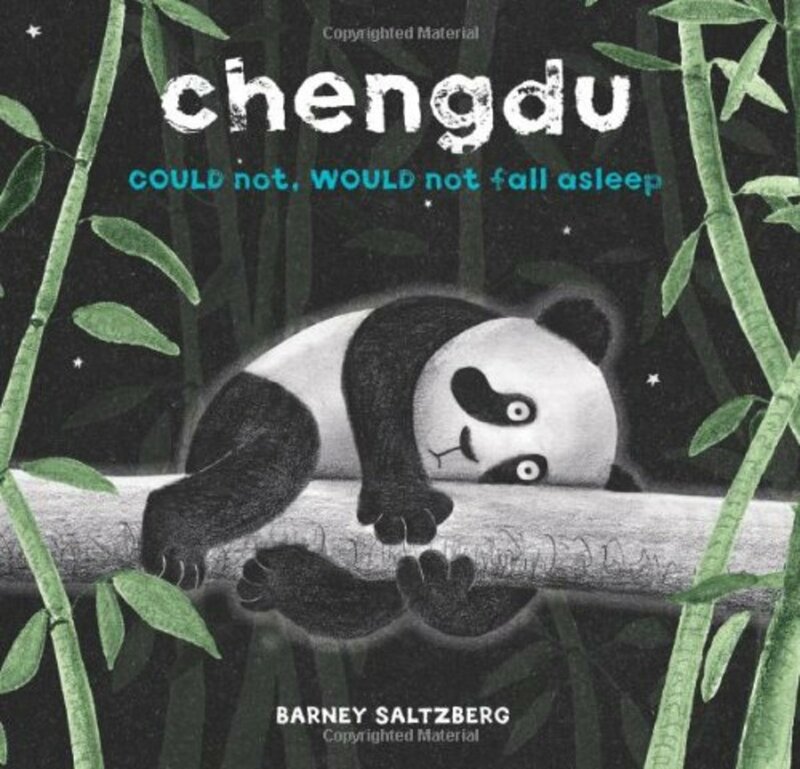 I’ve long been a fan of this author/illustrator, and this super-short little panda book, Chengdu Could Not, Would Not, Fall Asleep, would make a perfect bedtime gift for a toddler or preschooler. The little panda, named Chengdu (presumable after the panda reserve in China), has trouble getting comfortable at night and tries all sorts of positions to get to sleep. He finally finds out (spoiler alert!) that his brother makes a good pillow and is finally able to nod off. The little twist at the end will delight a little one, but the main reason to get this is for the illustrations, wonderfully expressive and tinged with an aura of night. With any luck, it will make your child drowsy and ready to pull up the covers. The Squiggle is perfect to read at your child’s school to encourage young imaginations. In the story, a little girl is walking with her school group when she notices a piece of red ribbon on the ground and picks it up. As she twirls it in her hand, she imagines it as a dragon, the Great Wall of China, a thundercloud, fireworks, and the moon, among others. The illustrations echo Chinese brush painting with its swoops and bright colors on a rustic speckled brown background which gives it a look of brown paper. The words are fun to say and introduce the children to onomatopoeia: “slither, slish” for the dragon; “push-a-pat” for the Great Wall. When we read this book at preschool storytime at the library, we give every child a length of red yarn so that they can play along. 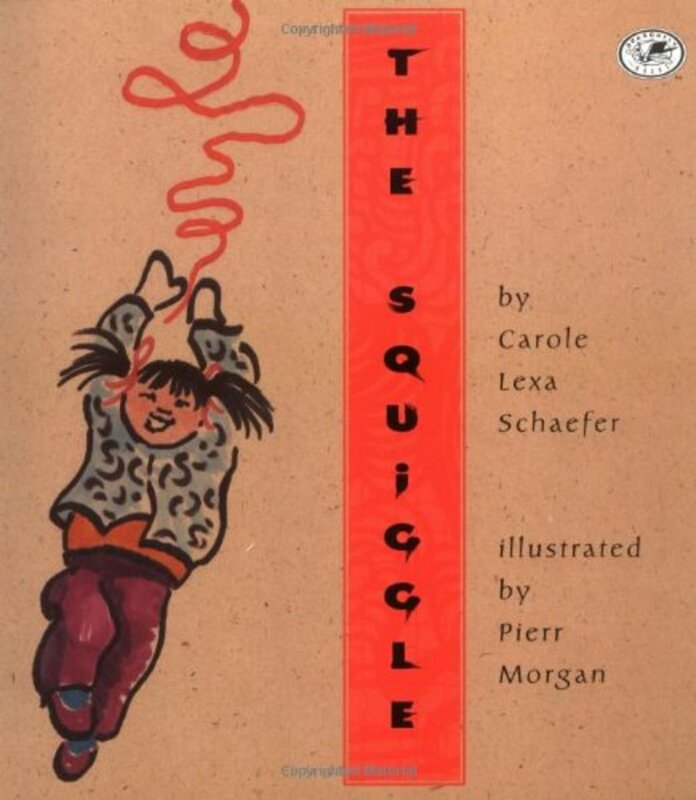 The Squiggle is such a good book that it’s been in print for 15 years--a rare thing for a children’s picture book. 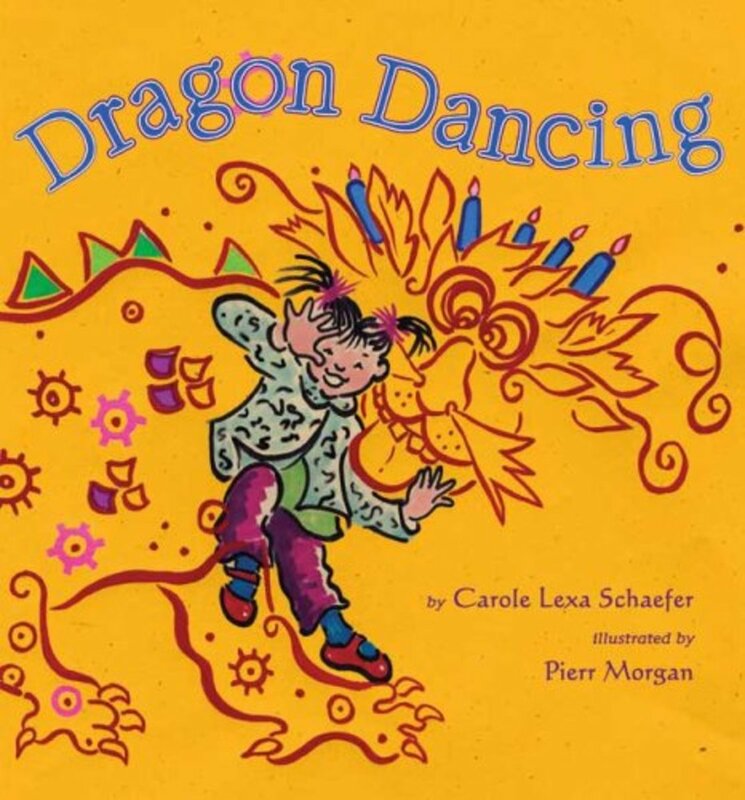 Here is another beautifully-illustrated book about a Chinese-American girl from the team of Carole Lexa Schaefer and Pierr Morgan. After hearing a story about dragons, the girl (Mei Lin) works in the art room with her class to make a “birthday dragon.” One child makes “boink-boink” eyes, another “ricky-rack backs”.” They add feathers and spangles and scales until they have a Chinese-style dragon that they take dancing through imaginary mountaintops, seas, bamboo forests (with adorable pandas, of course) marshes, and meadows. When they hear their teacher calling, they “Stomp. Tromp. Ker-bomp.” back for a birthday dragon’s snack. Once again illustrator Pierr Morgan captures Chinese brush painting aesthetics and Chinese scenery—whether the mountains near Guilin, or the marshes with iris and mandarin ducks. This is a fun read-aloud with Schaefer's trademark onomatopoeia and Morgan's lovely drawings. This would be a great book to read and then have a follow-up craft in which the children can draw and decorate their own dragons. This book seems to be out of print, but it would certainly be worth getting through the used market. The text is nice and short, not too overwhelming, just giving the reader a little bit of interesting information about each item. And the pictures are nice and big and colorful. The book also includes a recipe, some Mandarin words along with a pronunciation guide, and a list for further reading, in case a child wants to find out more about a given topic. In Two of Everything, Mr. and Mrs. Haktak are poor farmers living hand to mouth—until they unearth a pot that doubles everything they put into it. They start small at first, until the missus figures out that they can put their coins into the pot and keep doubling them until they are rich. Mr. Haktak runs out to go shopping, but when he comes back laden with packages, he accidentally knocks his wife in the pot. Now there are two of them! If you were reading a European folk tale, you would know by now that the story couldn’t end well. But this is China, and more practical heads prevail. The Haktaks come up with a workable solution and find a way to live their life in moderation—albeit more comfortably than they did before. I go out and do oral storytelling in the schools, and this is one of my favorite stories to tell. It’s fun and dramatic and clever. The kids get a real kick out of it. 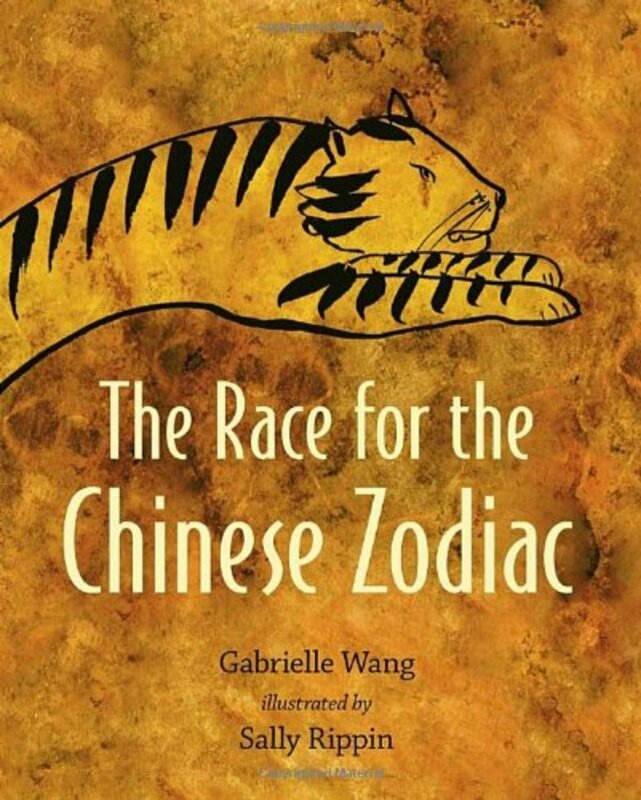 Children are always interested in the Chinese zodiac, and The Race for the Chinese Zodiac makes a nice introduction to the story which tells how each animal got its place in the zodiac. The Emperor of Heaven decided that he would host a race across a river. All the animals would compete, and their place in the race would determine where their year appeared in the zodiac calendar. The rat cleverly hitches a ride on the ox, and jumps off to run across the finish line once they cross the river. Rat gets to be first because he’s clever and smart. The ox, a hard and steady worker is next. After that comes the powerful tiger. All of the 12 animals are accounted for, depending on how they approached the race. The dragon, whom you might suspect could fly ahead of all the animals, has a later place in the zodiac, since he stopped to help some villagers. Dog comes in towards the end because he stopped along the way to play. Cat doesn’t make it into the zodiac—and therein lies a tale of the animosity between cats and rats. Since the text is short and clear, it’s easy to share with a wiggly group of children. The ink paintings are lovely and large enough for everyone to see. Each page has an illustration of the Chinese character for that animal. At the end, you can find a listing of the animals that go with different years, and the characteristics of a person born that year. Many folktales illustrate the importance of sharing and the drawbacks to being greedy. 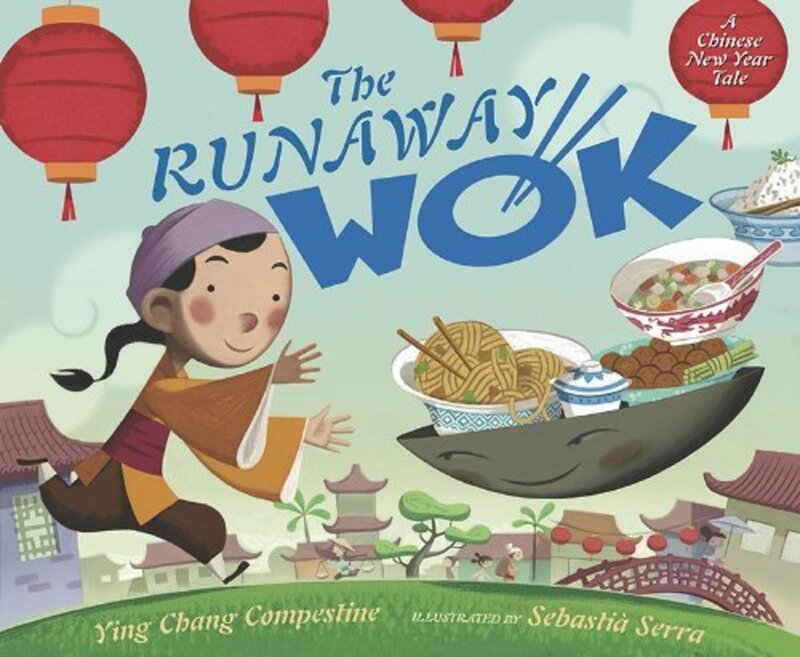 Compestine wrote The Runaway Wok as a Chinese take on a tale about generosity after reading the Danish folktale "The Talking Pot." The story is about a boy named Ming who is given the last of the family’s eggs on Chinese New Year’s Eve to trade for a bag of rice so that they can make some stir-fried rice to share with the neighbors. The family is poor, even though the father works for the richest man in Beijing, Mr. Li. The Li family has no desire to share their wealth with their neighbors. Ming dutifully goes to the market for the rice, but when a vendor shows him a wok that actually sings, he decides to trade for it instead, reasoning that a singing wok must be able to do some other amazing things. At first it seems like a foolish trade, but the wok has a mind of its own and skip-hops about town cleverly collecting goodies from the greedy Li family. Compestine notes that the wok is a symbol of sharing in the Chinese culture. The stir-fried rice which is cooked at new year represents happiness and harmony, since the varied ingredients combine to form a harmonious whole. In TheEmpty Pot, the Emperor needs a successor and has announced that whichever child can grow the most wonderful flower from the seeds he distributes will be next in line to his title. Little Ping loves to grow plants, but no matter how much he nurtures and tends the little seed, it doesn't grow for him. On the big day that they are to show their plants to the Emperor, all the other children take in big glorious flowers. Ping only has his empty pot. But it turns out that the Emperor boiled all the seeds, and Ping was the only one honest enough to admit that his seed would not grow. Ping is chosen as the new emperor. Demi’s trademark illustrations, delicate with circular borders, are reminiscent of Chinese embroidery. Here’s another good “girl power” tale. 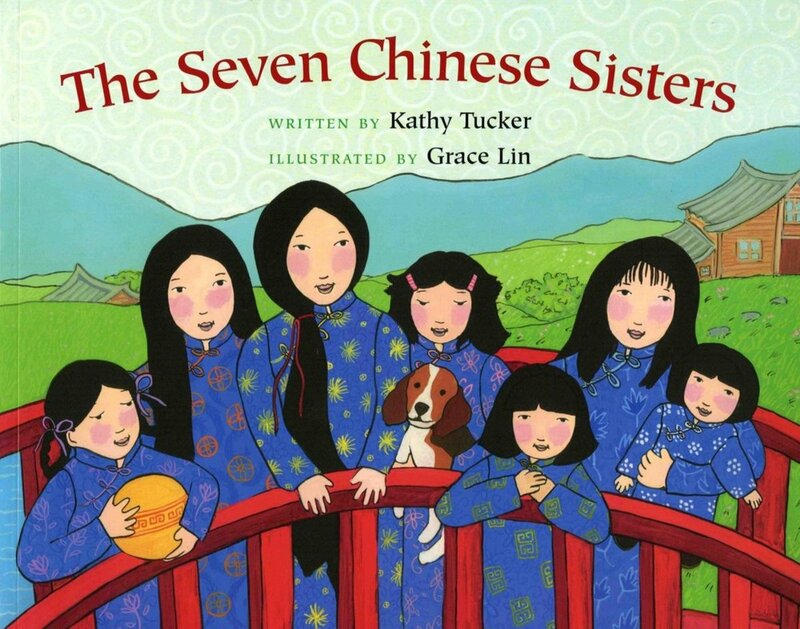 Inspired by the traditional folktale of the Seven Chinese Brothers, Tucker has flipped genders and written a story of the The Seven Chinese Sisters. In this tall tale each sister has a special talent. The oldest can ride a scooter fast as the wind; the second-oldest can do karate; the third can count very high; the fourth knows dog language; the fifth can catch any ball thrown; the sixth can cook a wonderful soup; and the seventh—the baby—well no one is sure what she can do yet. It turns out that she does have a very specific talent, and all of the sisters are able to use their talents together in order to foil a dragon who has his sights set on eating the younger sister. In gentle fashion, they don’t destroy the dragon, but instead learn what it troubling him and help him solve his problem. Grace Lin's brightly patterned and colorful illustrations are a lively addition to the story. You can find lots of books with recipes for Chinese food, but this book also tells the folktales associated with many of the major Chinese holidays. We learn about how people set off firecrackers to scare away a monster at the new year and how a star-crossed couple, the Weaving Fairy and her cowherd husband, is allowed to meet only once a year on the 7th day of the 7th lunar month, the Chinese equivalent to Valentine's Day. The stories are quite brief and simply told, usually only 3 or 4 pages long, with lots of illustrations which are charming, colorful and lively. Many of the tales include recipes associated with the holiday. This is a book that was translated for an English-speaking audience. Presumable, it was first written in Chinese for a Chinese audience, which means that it scores points for authenticity. It also means that it would be a bit tricky to find some of the ingredients. One recipe calls for mugwort juice, and another calls for bamboo leaves in which to steam rice packets. The measurements are given in grams rather than English measures. The real value of this book is in the stories and illustrations which delicately capture the childlike wonder of the holidays and the tales. 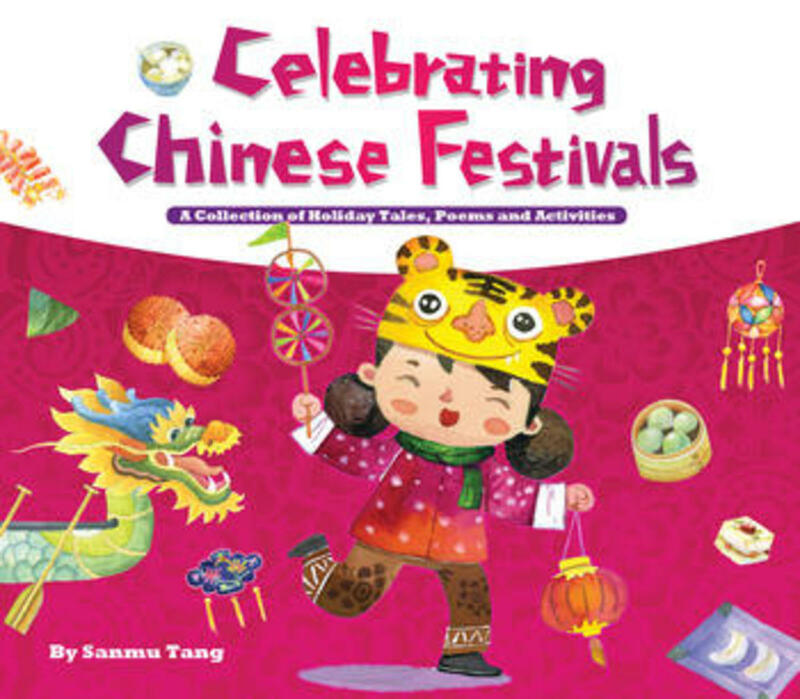 Here are the holidays included in this book as laid out in the table of contents: Chinese New Year, Lantern Festival, Qingming Festival: Dragon Boat Festival, Chinese Valentine's Day, Mid-Autumn Festival, and Double Ninth Festival. 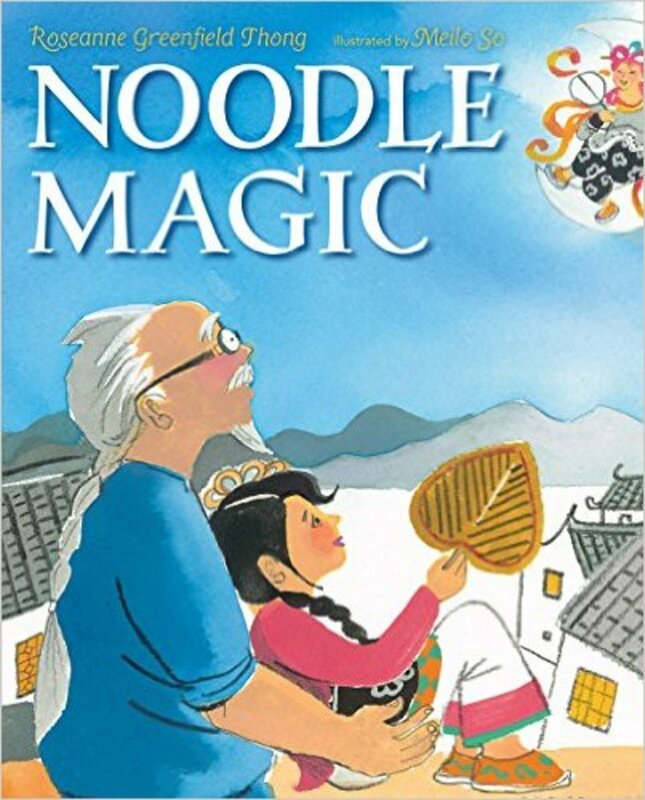 My daughter is enamored with noodle dishes, and when I saw that Roseanne Thong and Meilo So had teamed up to do a book called Noodle Magic, I had to take a look. Thong, who wrote some of my favorite books including Round is a Mooncake and Red Is a Dragon takes a little different tack here and writes a tale in folk-tale style. Every evening, a little girl called Mei watches her Grandpa Tu make fantastical things from noodle dough. One year, it’s Mei’s turn to make the noodle magic, but she has some trouble. She sends a ball of noodles to the Moon Goddess who is happy to receive the gift, but knows that the magic must come from inside Mei. Mei comes up with a tug-of-war with the goddess, and with a snap, all shapes of noodles come raining down. If this sounds a little confusing, it’s because I found the story a little confusing. While it may seem nit-picking to want to know more about the nature of Mei’s magic, I found it a little too easy of a resolution that she just pulls on the noodles and magic happens. Still, this plot critique is a small thing when compared to the wonderful language and especially the exquisite watercolors of Meilo So. And with its tie-in to the Moon Goddess, it would make a great book to read at Moon Festival time. Crafts are a natural accompaniment to reading books at any Chinese New Year celebration. 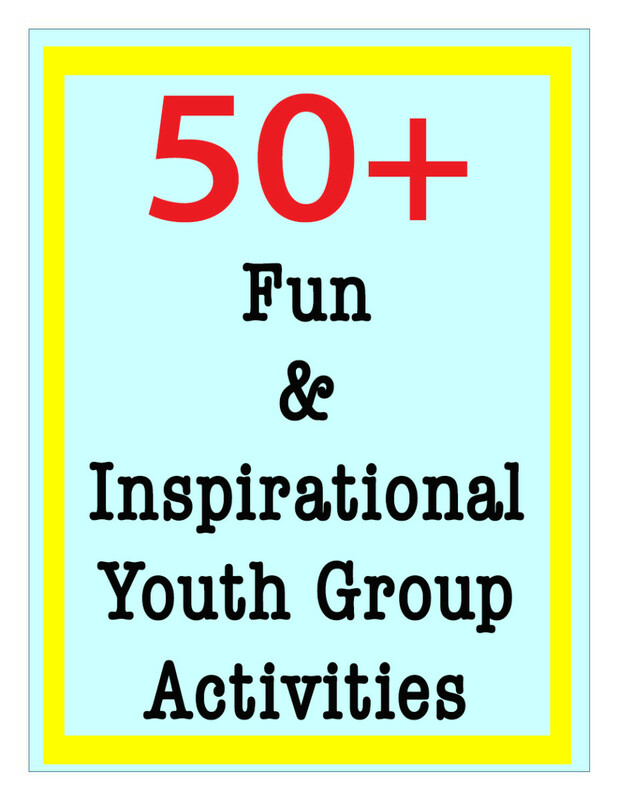 Below are a couple of sites with easy, kid-friendly crafts you can make with children. A collection of quick and easy printable Chinese New year craft ideas for kids to make. 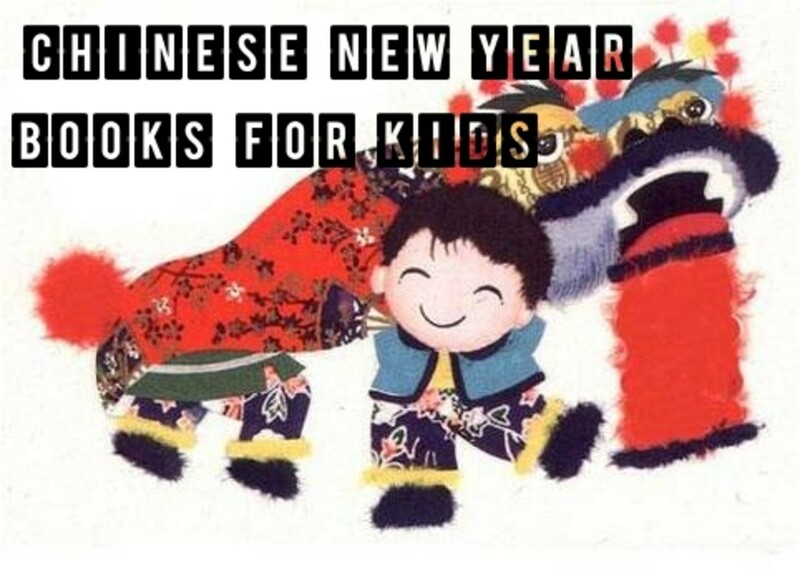 Children can make pandas, dragons, lanterns, and a variety of New Year animal crafts. Includes instructions for making simple Chinese lanterns from paper, along with photos and lots and lots of tips for varying their look and adding embellishments for making them unique. The following books have been around for some time. Many of them are not available new, but are well worth getting on the used market. The mid autumn Moon Festival, scheduled to take place on an autumn day when the moon is full, is an Asian Festival of thanks. 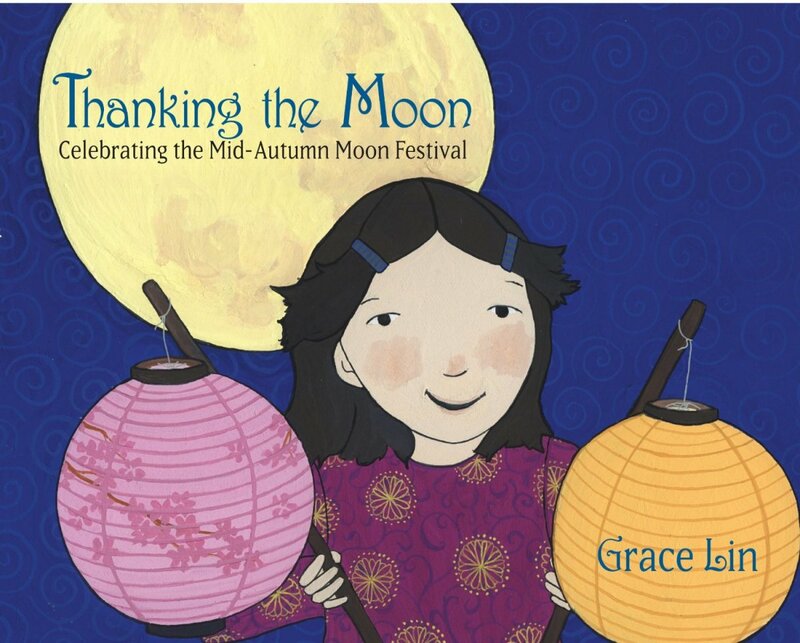 This simple, short book follows a family's tradition on Moon Festival night as they take a picnic lunch out so that they can eat while admiring the full moon. Lin's bold illustrations nicely capture the round foods, the lanterns, and the whole night time aura. This charming book features a cover illustration of Ruby peeking out at us through enormous red doors. Bridges based this story on her own grandmother who lived in China in a time when it wasn’t customary to educate girls. 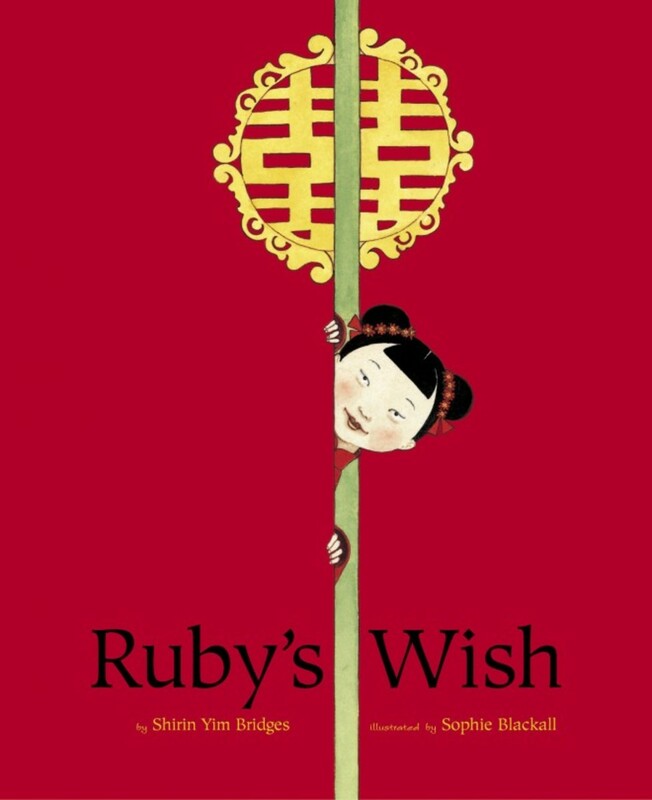 Ruby, a young girl born long ago in China, lives in the house of a rich man with 100 grandchildren who employs a tutor to teach any children who wish to learn. Ruby is the only girl who wants to keep learning and can keep up with her domestic work as well as her learning. One day the tutor finds a poem she has written about how it is bad luck to be a girl in a house where only boys are valued and shows it to her grandfather. Her grandfather calls her in, and she tells him that it is her wish to go on with her studies. He listens in benign amusement, but later in life, he grants her wish. 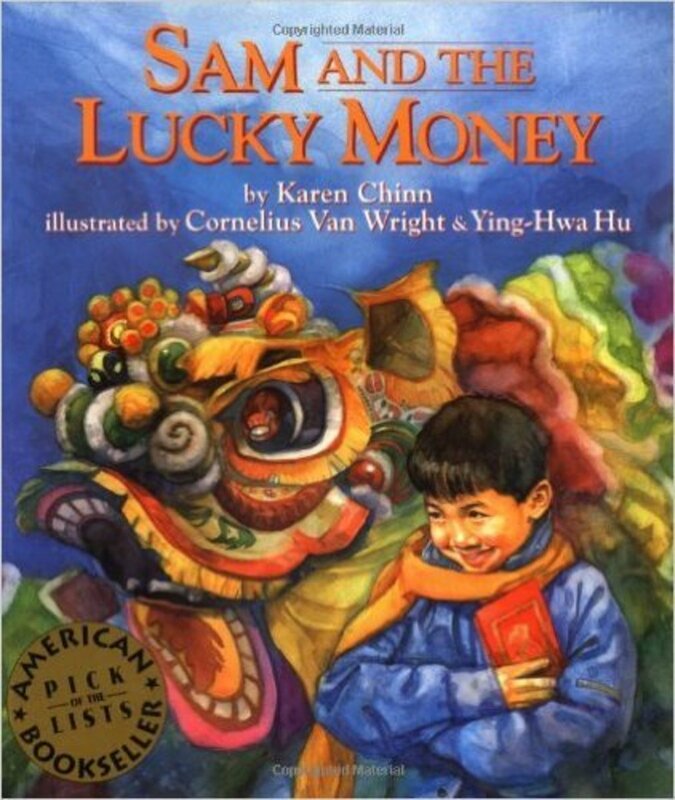 Preschool-grade 2 Young Sam has 4 dollars of New Year's money to spend in Chinatown. As he peruses possible purchases, he notices an unfortunate man in the street and decides on a use for his lucky money. Rich, colorful illustrations introduce readers to the sights of Chinatown during the holiday. I love books from any culture that show girls who use their smarts to solve problems. This intriguing book introduces us to a novel agricultural practice in ancient China: people would use a type of ant called an "orange ant" to control other pests in the orange orchards. 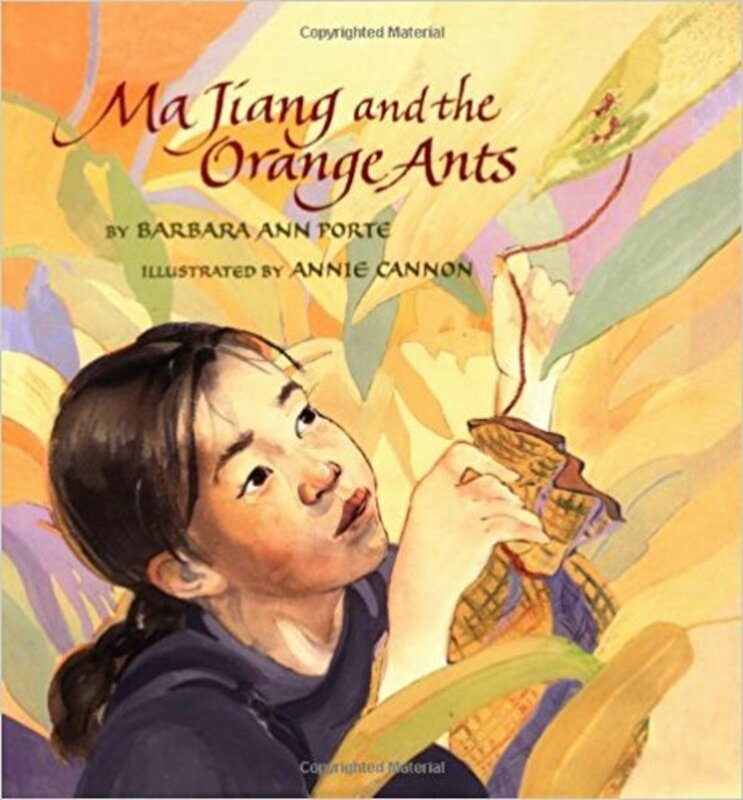 Ma Jiang’s father and brother run a business collecting the ants and selling them to orchard owners, but when they are all conscripted and sent off to war, it looks like the family business might fail, since women are prohibited from climbing trees. However Ma Jiang notices that the ants are drawn to drops of honey, and she creates traps for them, cleverly saving the family business, and earning the approval of her father and brothers. The subtle watercolor illustrations capture the time and mood perfectly. The book is out of print now, but well worth getting from the used market. Lee uses beautiful paper cuts to illustrate stories in which a mother demonstrates for her son how to write the characters for different words in Mandarin. She shows her boy how certain characters are like little drawings of the word they represent. For example, we can see the roots and branches of the characters she draws for "tree," and when we put several of these trees together, they form the word forest. The books are wonderful introductions to Chinese characters made all the more memorable by these simple stories. The other books in the series include In the Park, At the Beach, In the Leaves, and 123 Go. 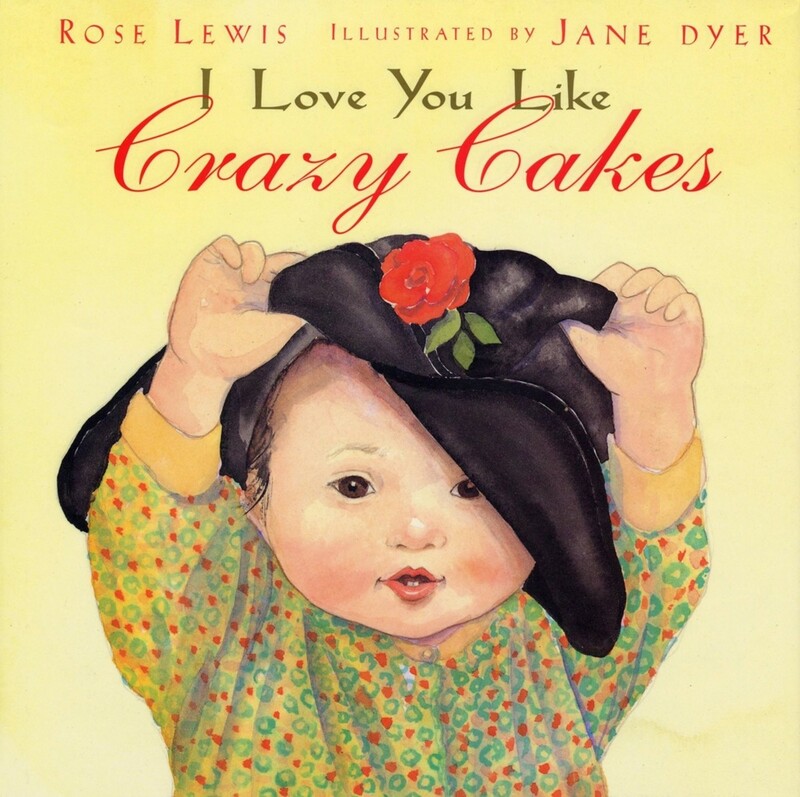 Author Rose Lewis tells a sweet story of adopting a little girl from China, but it’s Jane Dyer’s watercolors that will melt your heart. She captures the vulnerability and tenderness between mother and daughter. This has become THE book for families with children from China. It tells the story of adoption with a gentle honesty and delight. Lewis, who based this book on her own experience adopting a girl from China, tells the story of a single mom from the time she starts the adoption process, through traveling to China , meeting, and then traveling home to the US. She keeps the story short, and poetic, not giving too much detail about a particular experience, so that other families can relate the book to their own particular stories. She tells of writing a letter to China to ask if she could adopt one of the babies that lives “in a big room with lots of other babies.” She describes their meeting, and how her daughter tried on different hats and had her picture taken. And, she talks of rocking her baby at home and how she wonders about the girl’s biological mother. The book has done so well for the publisher that it’s been released as a board book and a DVD as well. What we call Chinese New Year is usually referred to in Asia as “Spring Festival,” since many other countries besides Chinese celebrate this new year festival. It can also be called “Lunar New Year.” Many of the customs that precede the festival are symbolic of cleaning out everything from the old year so that better things can come in the new year. 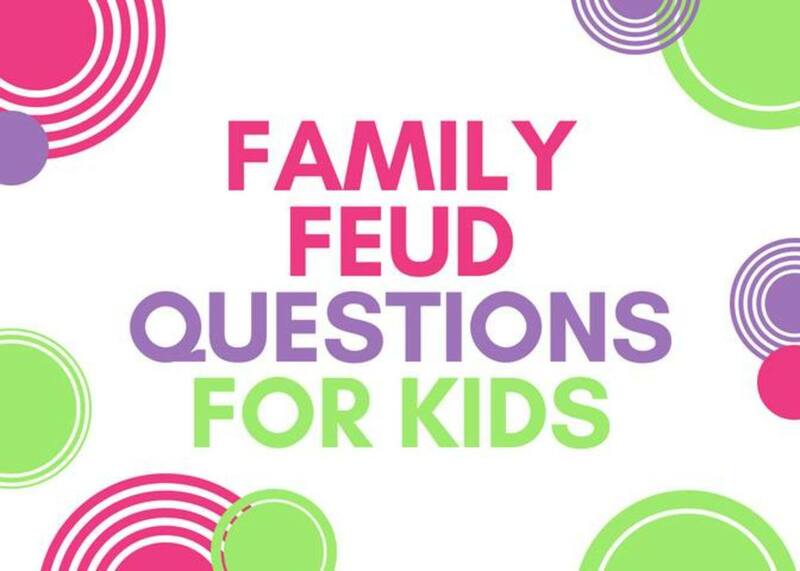 Most families begin preparing at least a month in advance because there is lots to do. Haircut It is considered bad luck to cut anything during the new year celebration (you might be cutting off that new luck), so you need to schedule a hair appointment well before. Sharpening Knives Again, because knives sever your good luck, you want to get them sharpened before the festivities start. Throw Out Old Broken Things If you have any dishes that are broken or chipped, out they go. (On imagines this was only a custom with those that were relatively well off.) They same goes for houseplants: any that aren’t doing too well need to be replaced with new and vigorous plants. New Clothing People get new clothing for festivals all over the world. In Asia, it symbolizes that people are welcoming some new things and getting ready for a fresh start. Settling Debts This would be a tough thing to do in a credit economy. However, it is thought to be a good thing to sweep away all the old debt you can so that you don’t have it hanging over you in the new year. Now, the family does some things to decorate the house for the Spring Festival. One thing that they traditionally do is to post a banner at either side of the door. On them are written a line of a couplet so that the two together make a small poem to express people's good wishes. I loved "Two of Everything" when I was growing up! It was one of my favorite stories in first grade! "The Seven Chinese Sisters" sounds familiar as well but I'm not sure if I read it when I was younger, or just saw it somewhere. What a great list of books! Thank you!